I’d just like to start by saying: If you think you’ll come straight out of uni and get a placement at a premier league football club, keep dreaming. Over what will hopefully be a series of articles, I’ll be writing about the British Psychological Society’s (BPS) Stage 2 Qualification in Sport and Exercise Psychology (QSEP), taken by master’s degree graduates to achieve chartered status as a Sport and Exercise Psychologist, which is now a protected title. The qualification also registers you as a member of the Health and Care Professions Council, making you a registered health professional. I myself was given little guidance during my master’s degree on the intricacies of stage 2 training, particularly on how to get started in the first place. The BPS’s paperwork on stage 2 can appear dauntingly exhaustive. Despite this, I feel there are a lot of realities about stage 2 training which the BPS’s paperwork doesn’t necessarily prepare you for. To that end, this first article will focus on the first step of undertaking stage2: finding a supervisor and a placement. Whether you sort out your supervisor or your placement first depends on a number of things. The BPS’s website features a list of designated supervisors across all its divisions, and you can use this to see whether there are any supervisors in your local area. If this is the case, you may approach them, be interviewed by them, agree a tuition fee (which can vary between supervisors) and they may even provide you with a placement. This placement may be at a sports club or organisation they have connections with. You can also have their university as your placement, working with sports scholars for example. Job done. If you’re a PhD student, you may already be based at a university where someone is a registered supervisor. Being a PhD student also puts you in a strong position to complete the research component of QSEP (yes, there’s more research to do. I’ll get round to this in a future article). However, that’s in an ideal world. When I searched for supervisors in my area (Dorset/Hampshire), there were none. So instead I approached one of my former lecturers at the university where I completed my master’s degree (almost 100 miles away in London). He offered me a good deal on tuition fees, and we were able to develop a good working relationship quickly, seeing that he had already been my lecturer. We agreed that, given my relative youth, I was in a position to be ambitious and try and complete the training on a full-time basis (2 years). However, he was unable to find me any work, seeing that he had no contacts on the south coast and I was not in a position to re-locate to London (note: supervisors do not have to provide placements). So I had to seek out a placement of my own in my local area. I would then be supervised from a distance, with my practice log and reflective diary (which I’ll also discuss in a future article) being shared with my supervisor on a dropbox account, and regular meetings being done over Skype. I made contact with a local sixth form college in my area. They ran a very successful academy system across a range of sports. My thinking was that a college such as this would provide me with many opportunities to work with a variety of different sports. Some youth players at my local cricket club were members of its cricket academy, and they got me in touch with their coach. Being an inexperienced trainee, I offered my services for free, and the coach practically bit my hand off. I agreed to primarily work with the college’s cricket academy but also offer my services to their other academies and student athletes. I was also able to take on a job as a learning support assistant at the college, meaning that I would be there 5 days a week. This also solved the tricky issue of funding my studies. Placement sorted. 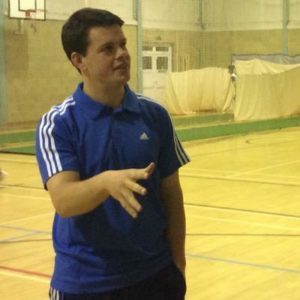 I also do a lot of work with individual athletes outside of my placement, through local cricket, rugby and golf clubs I have connections with. QSEP greatly differs from the qualifications of other BPS divisions (e.g. : forensic or health) as you are not restricted to conducting all of your work solely at your placement. This is to reflect the nature of being a consultant sports psychologist, where it is highly unlikely that you’ll be employed solely by one club or organisation. You’ll more likely have a range of different clients. You can, in fact, have your supervisor’s university as your placement and then conduct all of your work outside of it if you wish (but you do need a designated “placement” on your records). If you want to be a sports psychologist, be prepared to work for yourself. For a trainee, this means sniffing out potential consultancy opportunities. These will often be with people who wouldn’t otherwise get access to a (trainee) sports psychologist. Don’t expect to be applying for jobs left, right and centre. I dare you to find a vacancy for a full time sports psychologist advertised right now on any website. You may well be surprised with how willingly amateur sportspeople will pay for the services of a trainee sports psychologist. In my early days, I would regularly hear: “that sounds great, how much is it?”, only for me to tell them that it was for free. If I was in that position again, I would have had the confidence to begin charging my individual clients sooner. In other words, don’t devalue the knowledge you have. As a masters graduate, you’ll be more of an expert on sports psychology than the vast majority of people! This brings me back to my initial statement at the top of this article. Many graduates expect to find a placement or job at, for example, a premier league football club. The realities of stage 2 training are that you’ll be, in most cases, working with amateur athletes and students. But those amateur athletes are more likely to pay for your services than a premier league FC will with you as yet another intern! Trainees can play a major role in providing sports psych support to sections of the population who wouldn’t otherwise have access to it (i.e. : the non-elite). By doing so, they can help promote the profession to the wider sporting community, and perhaps de-mystify the perception sports psychology has among the un-informed. Supervision can be done from a distance. Your supervisor won’t be observing you 24/7! Don’t de-value your knowledge and expertise! I hope that some of the realities I have written about haven’t put people off Stage 2. Far from it, I hope that this article helps people see what real opportunities are available on Stage 2, particularly with regards to self-employed work. In my next article, I’ll be talking about the enrolment process, and getting started with your reflective diary.